It is advisable to take care of your pre-admission formalities in the days preceding your hospitalization, preferably after your consultation with the surgeon or anesthesist. This will enable you to sort out any administrative problems with hospital staff before your admission. They will give you the different documents you will need to read, fill out and sign. You will be asked to present these documents when you are admitted to the hospital. 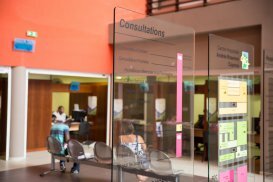 If you cannot manage otherwise, you can take care of your admission formalities on the day you are hospitalized. Monday to Friday, from 7:15 to 5:45 p.m.
Saturdays, from 7:30 to 3:15 p.m.
Sundays and holidays, from 7:30 to 12:15. p.m. The maternity unit is open 24 hours/7 days a week. a member of your family or an acquaintance will be requested to go to the Admissions Office to take care of your admission formalities. 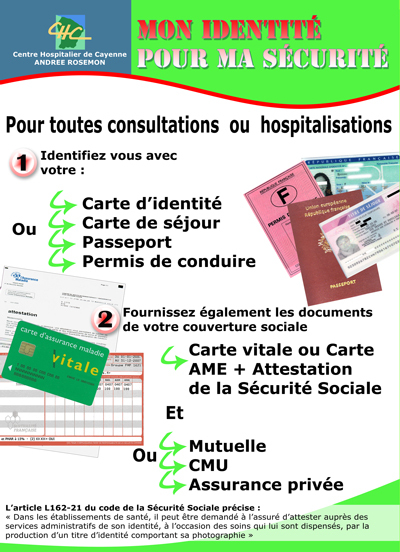 The information sheets with first names for your baby (fiche de recueil de prénoms), which will be given to you at the 9th month visit, filled out in duplicate. On these sheets, you can write the first name or names that you have chosen for your child. They are needed in order to fill out the declaration of birth. the authorization to operate and anesthetize for patients who are minors or under guardianship.